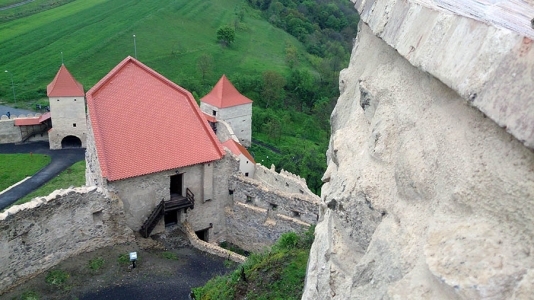 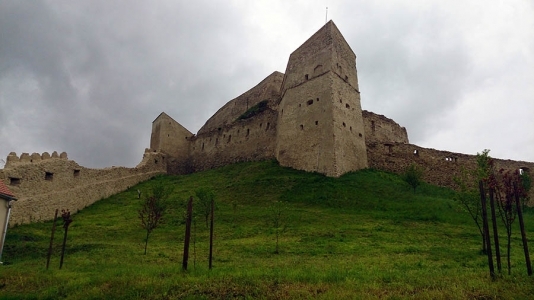 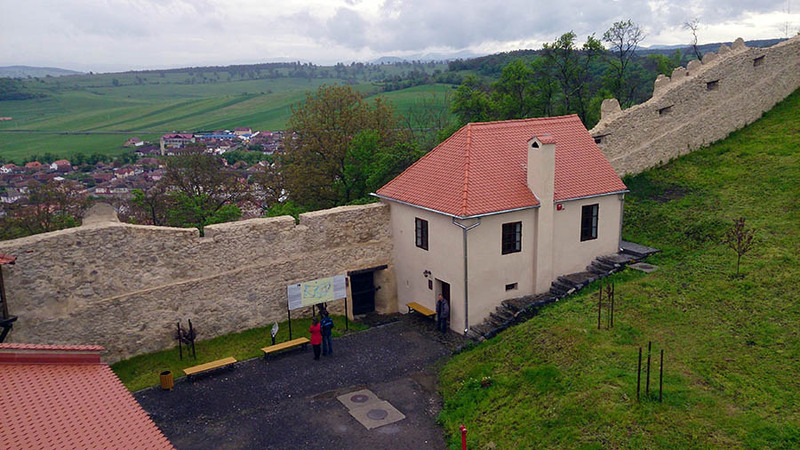 Rupea Fortress is situated at a distance of 50 km from Brasov built on a basalt rock in the area nowadays known as a geological reservation – The Basalts from Rupea. Rupea Fortress is one of the oldest settlements in Romania. 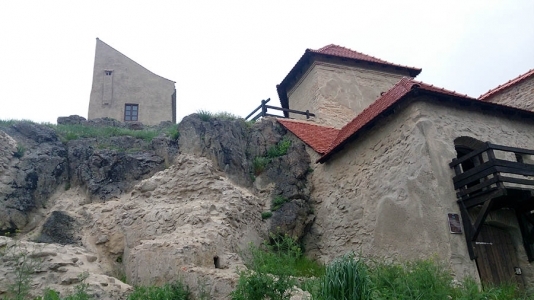 The signs of the first settlement date back to Paleolithic and early Neolithic, but the first documents to attest Rupea fortress appeared in 1324 when the Saxons rebelled against King Carol Robert of Hungary found here refuge. 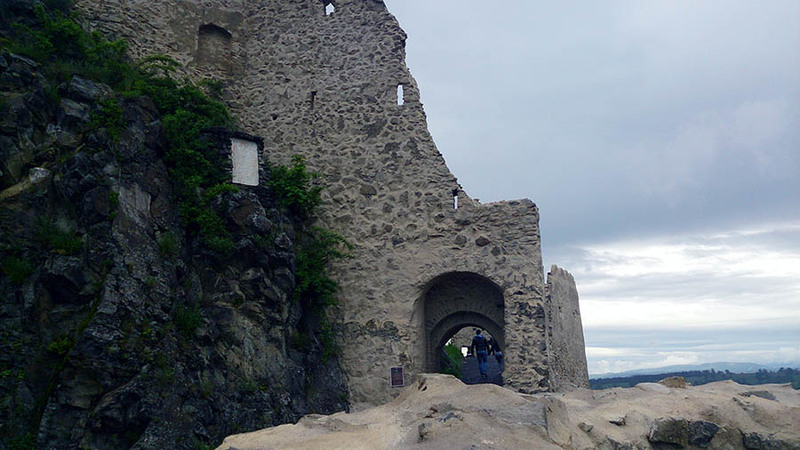 The fortress was then named Castrum Kuholm after the rock on which it was build – the basalt. 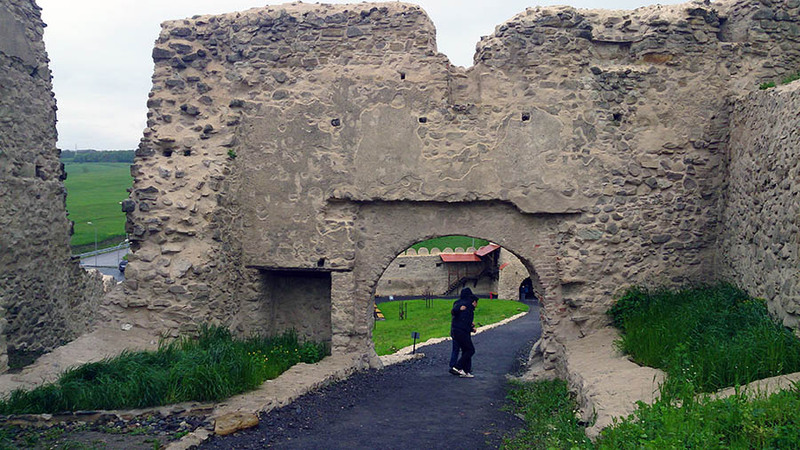 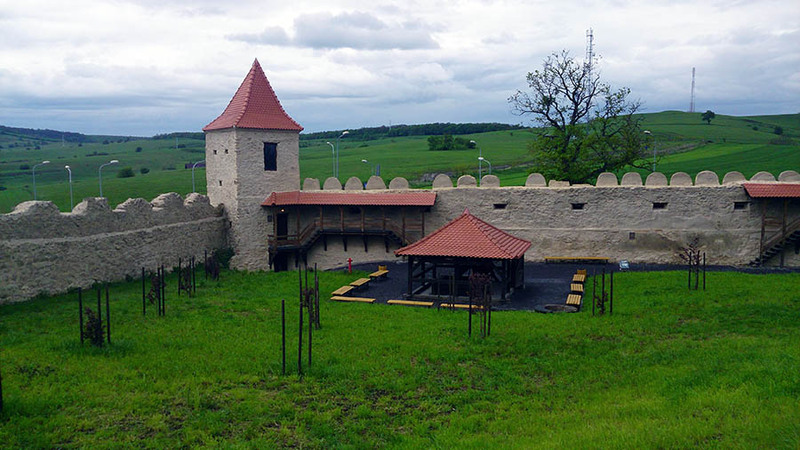 In the 15th century Rupea Fortress was an important commercial centre where lived a lot of craftsmen divided in 12 guilds. 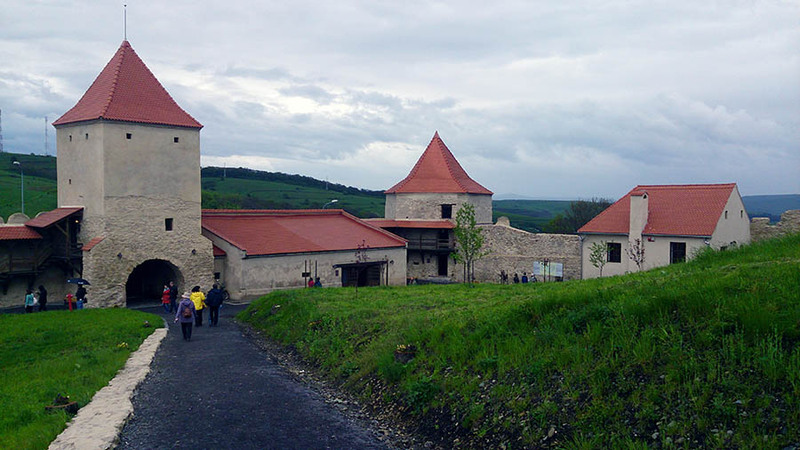 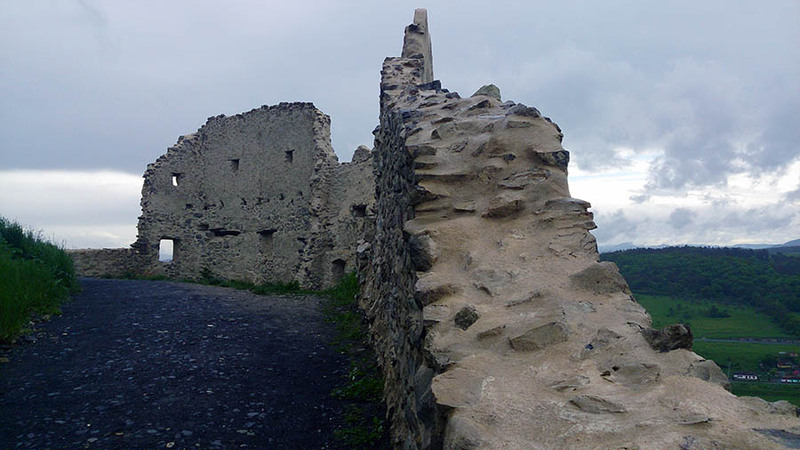 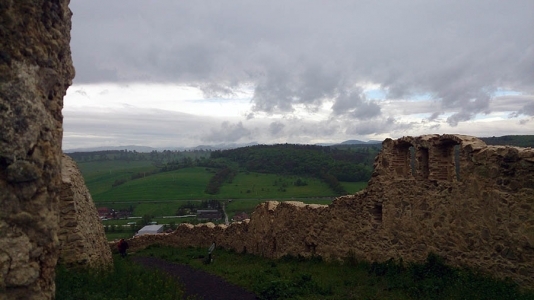 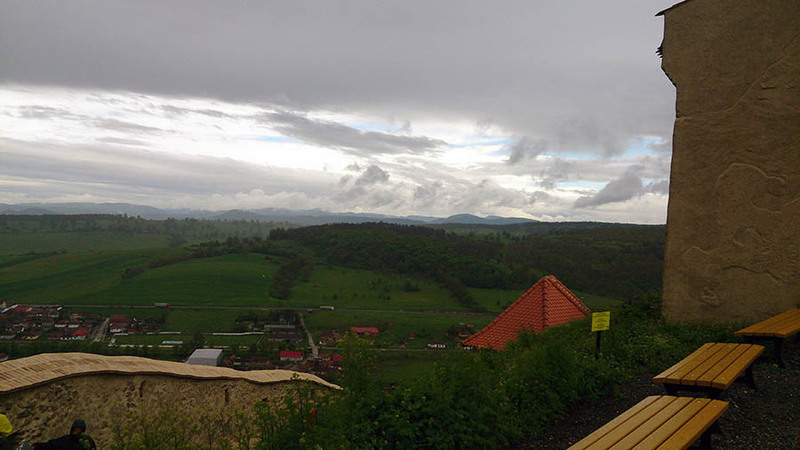 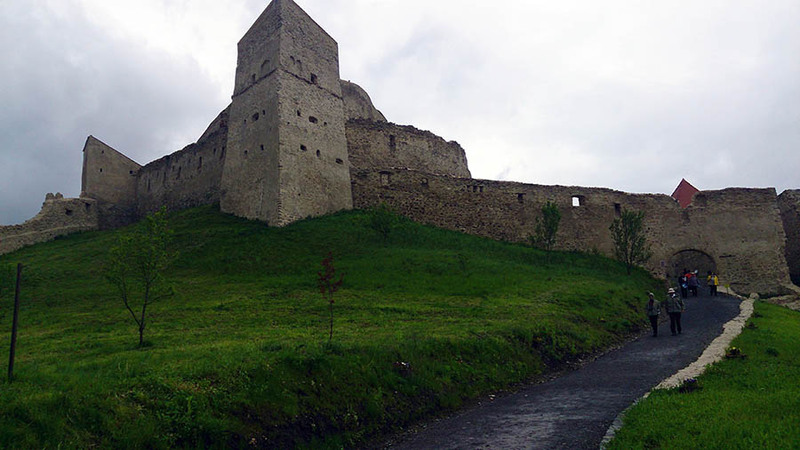 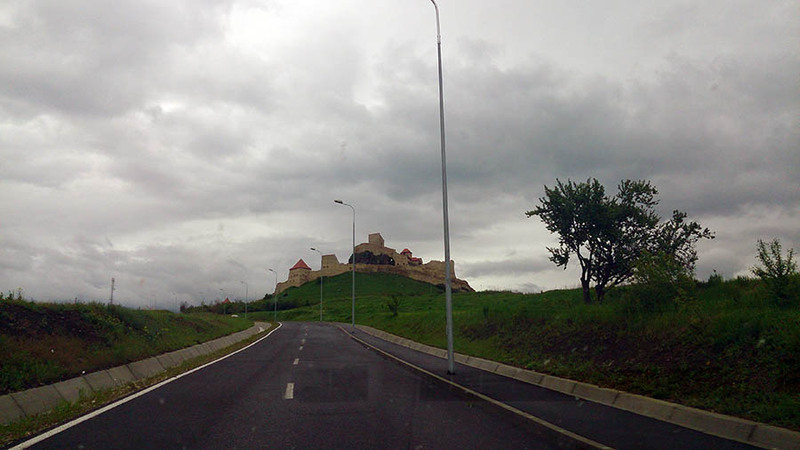 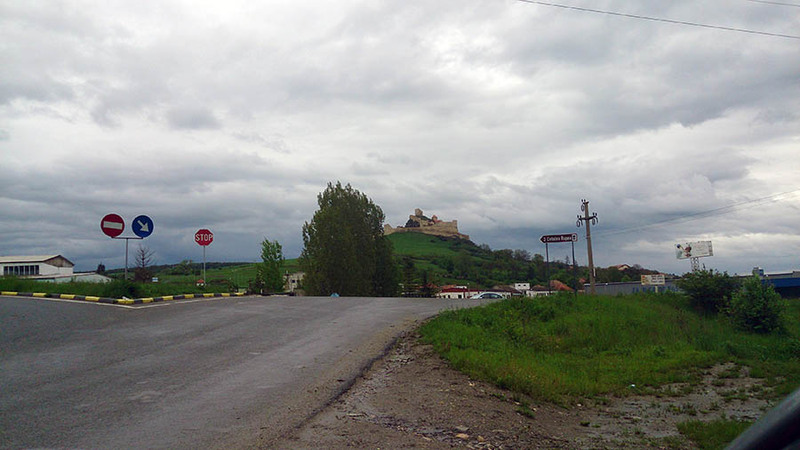 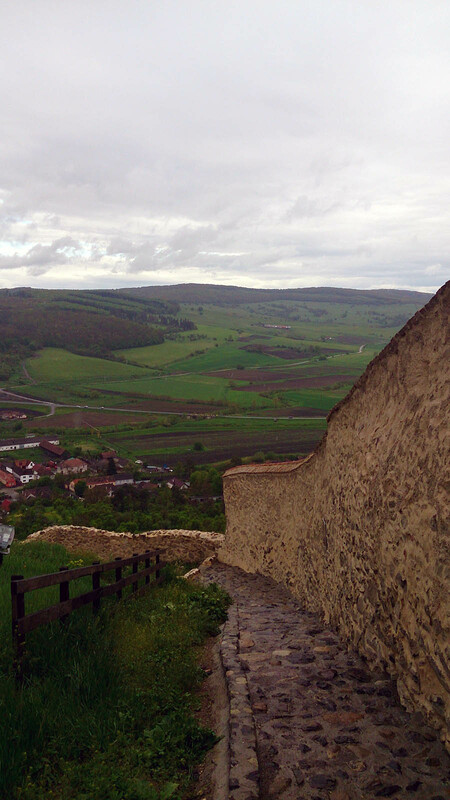 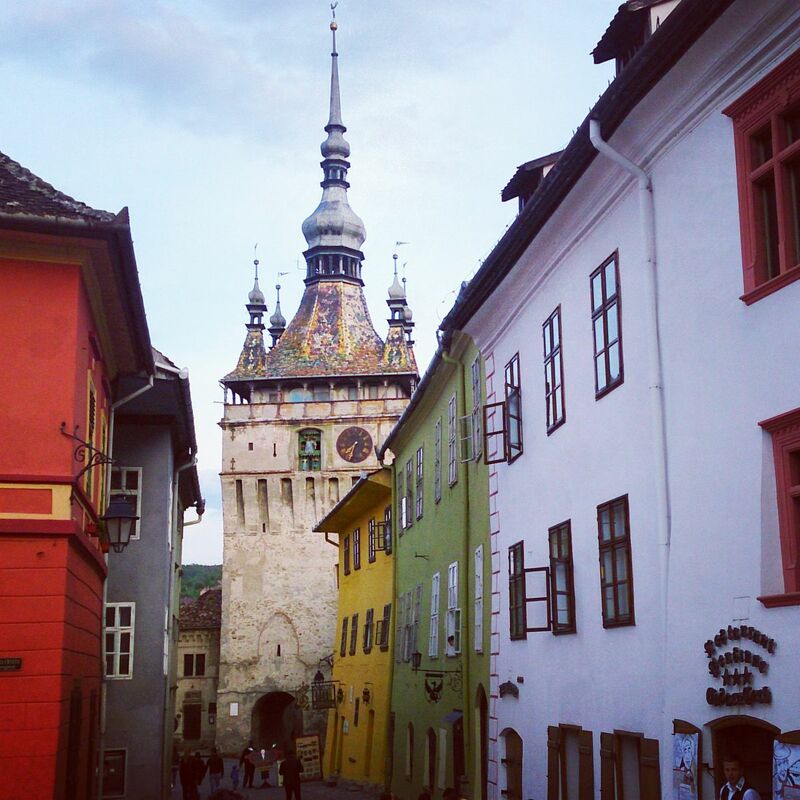 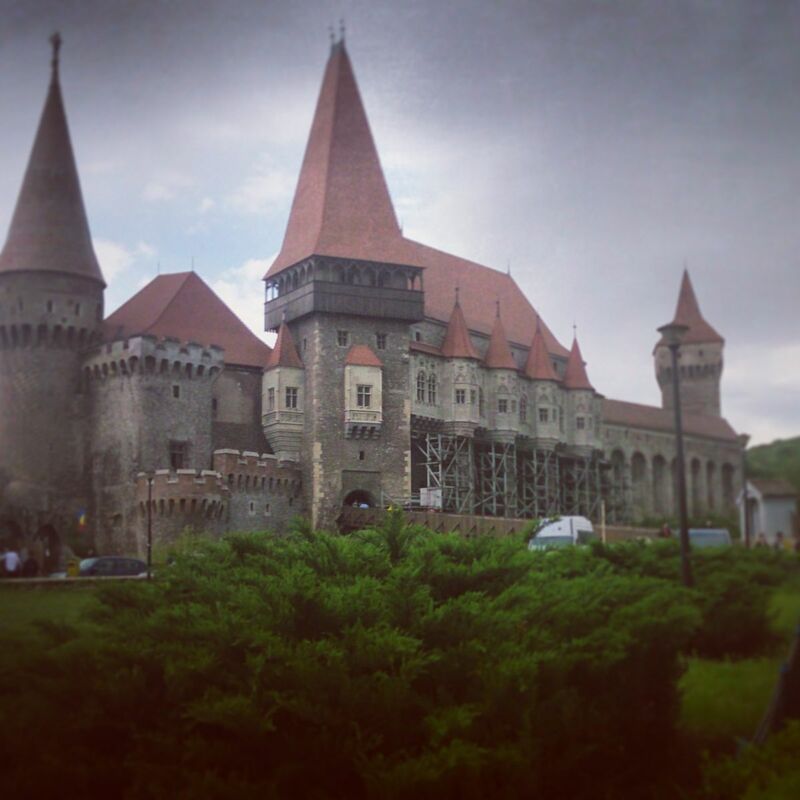 The fortress was strategic built in a point where the roads from Transylvania, Walachia and Moldavia met. Rupea Fortress is shaped like a snail shell. 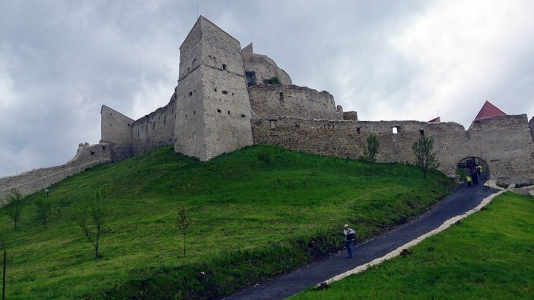 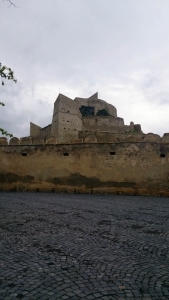 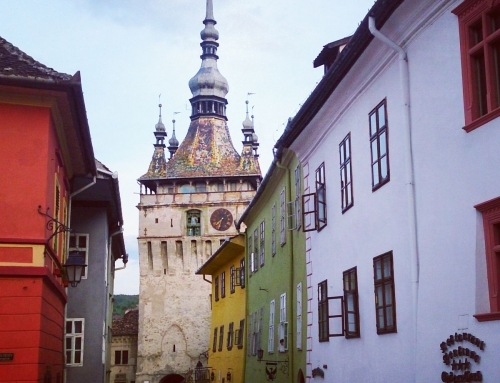 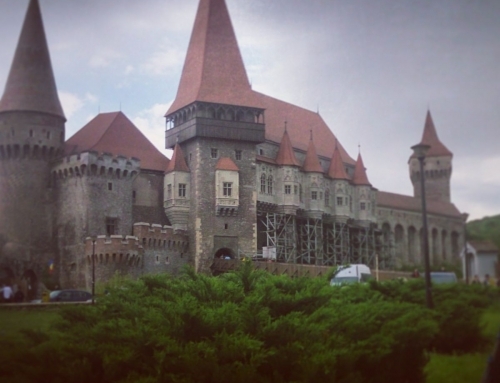 It consists of three smaller fortresses each one of them built in a different time period. 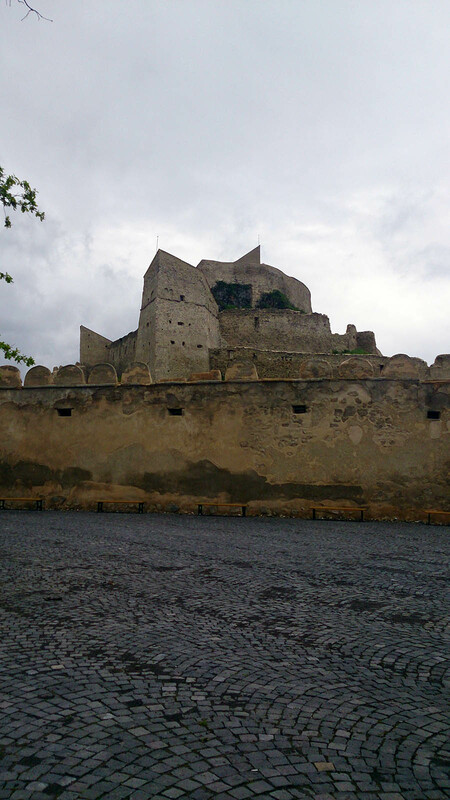 The upper fortress it is believed to be the oldest one. 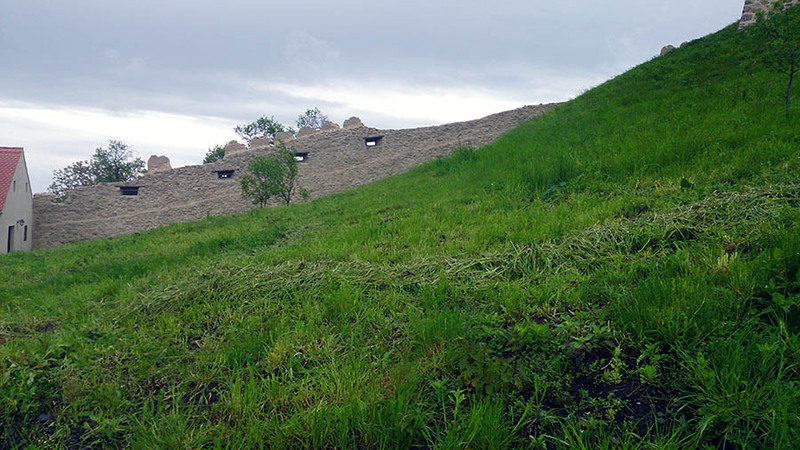 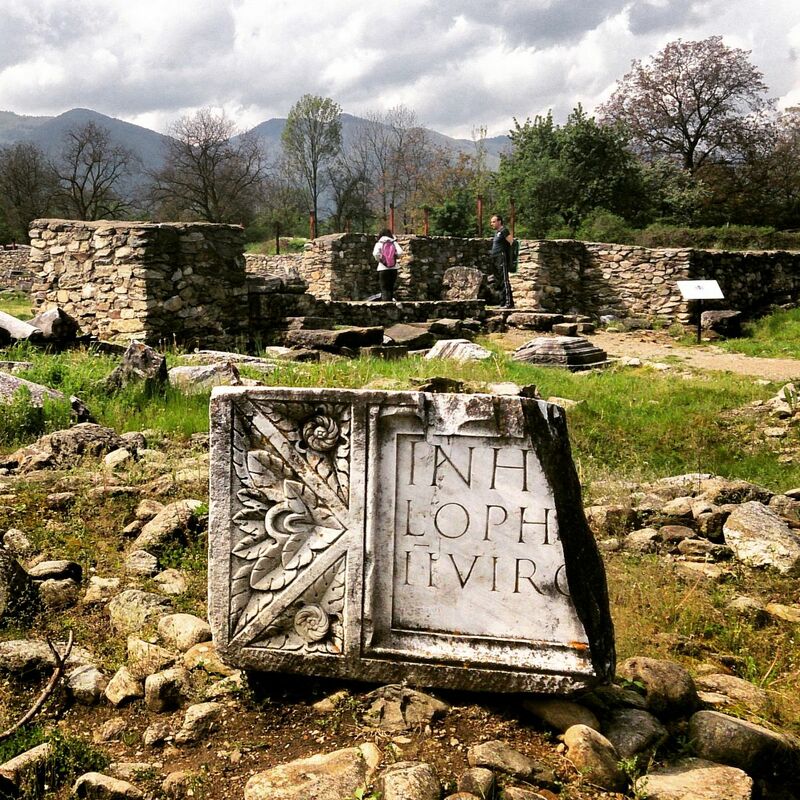 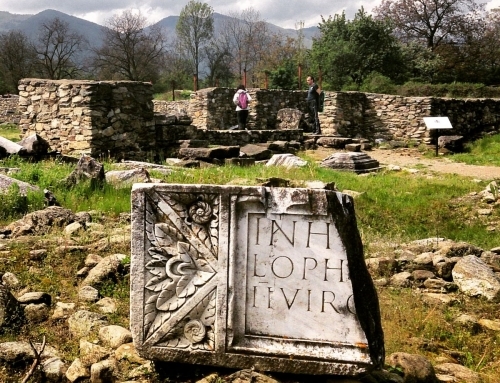 Here have been found the ruins of a Dacian citadel. 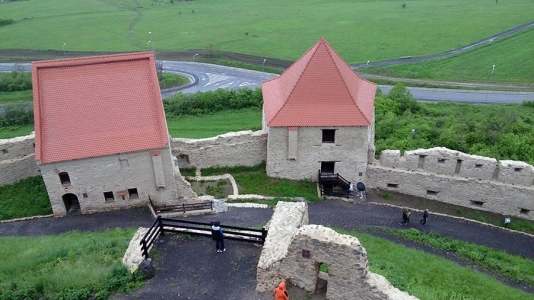 The fortress has four big towers which can be visited today. 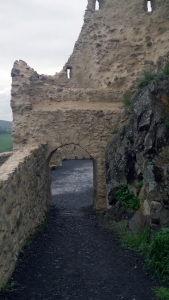 The Gate Tower had defense role and was fitted with drains for fuel-oil. 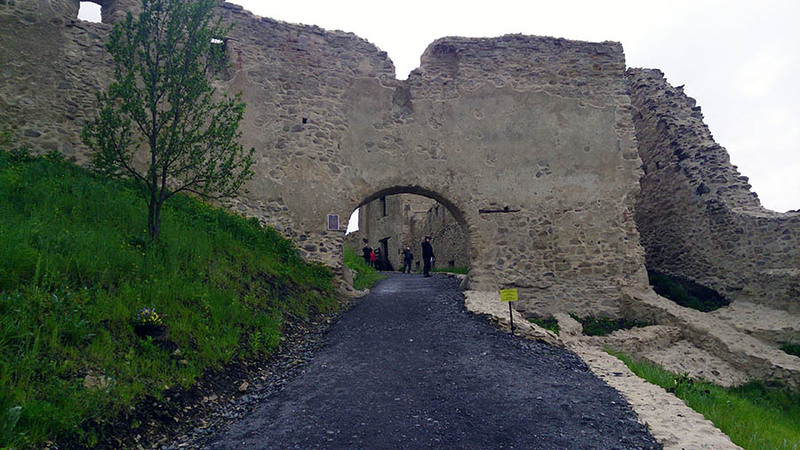 In front of it was a deep moat to prevent the hostile forces to get in. 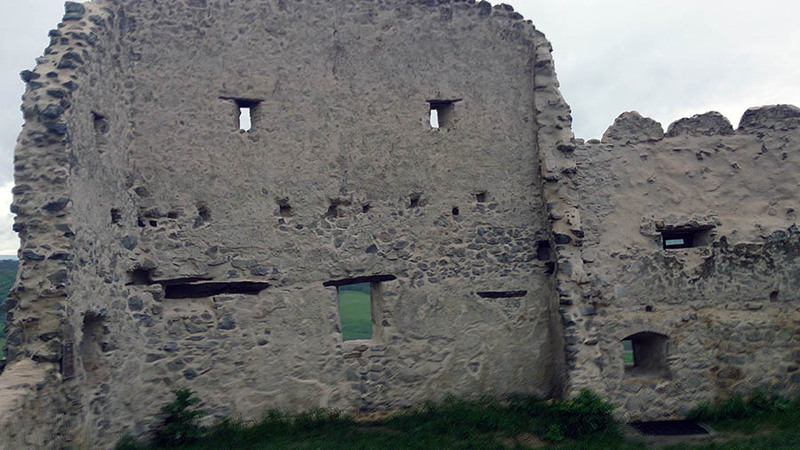 The Bacon Tower is the place where were stored the food stocks. On its stone windows can be seen nowadays the hooks on which the bacon was hung to be kept cold during winter. 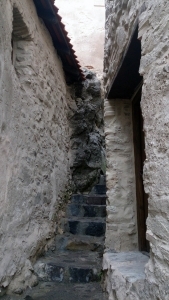 Another tower named the Servants Tower. It is the place where stayed the watchmen who guarded the fortress, but also all the subjects during sieges. 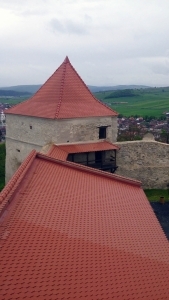 The biggest tower is the Scouts Tower. 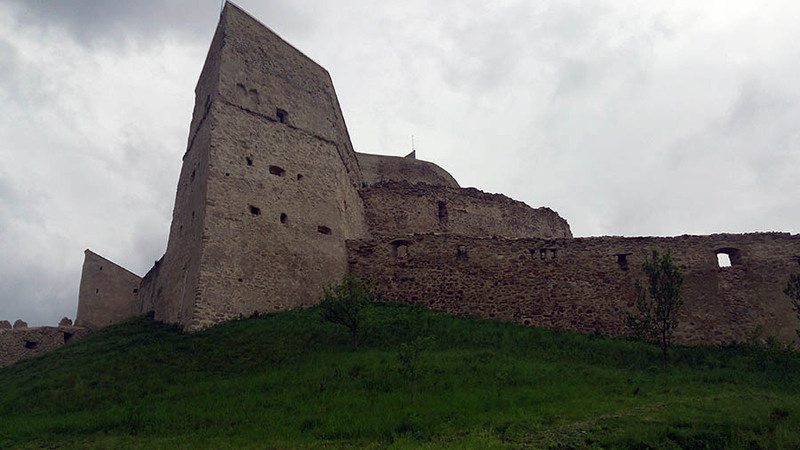 It has three levels and is the tallest from the towers of Rupea Fortress. Inside the fortress are 100 stone rooms and a fountain of 41 meters depth which was built around 1613. 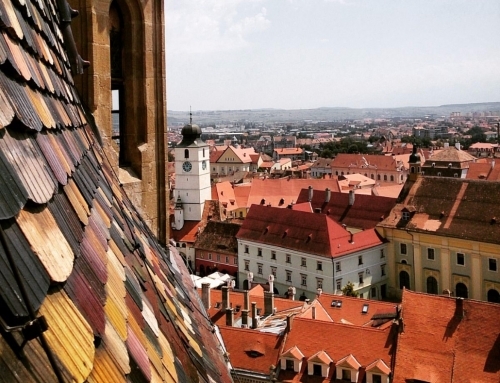 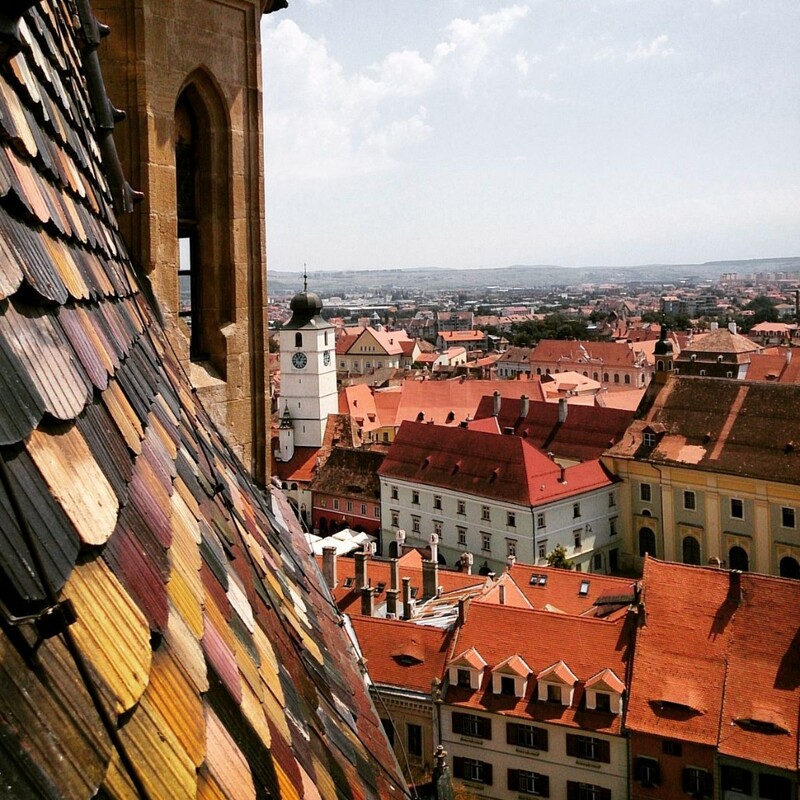 In 1716 the fortress was used as a refuge for the survivors of plague epidemic and it was totally abandoned in 1790 after a powerful storm destroyed its roof. 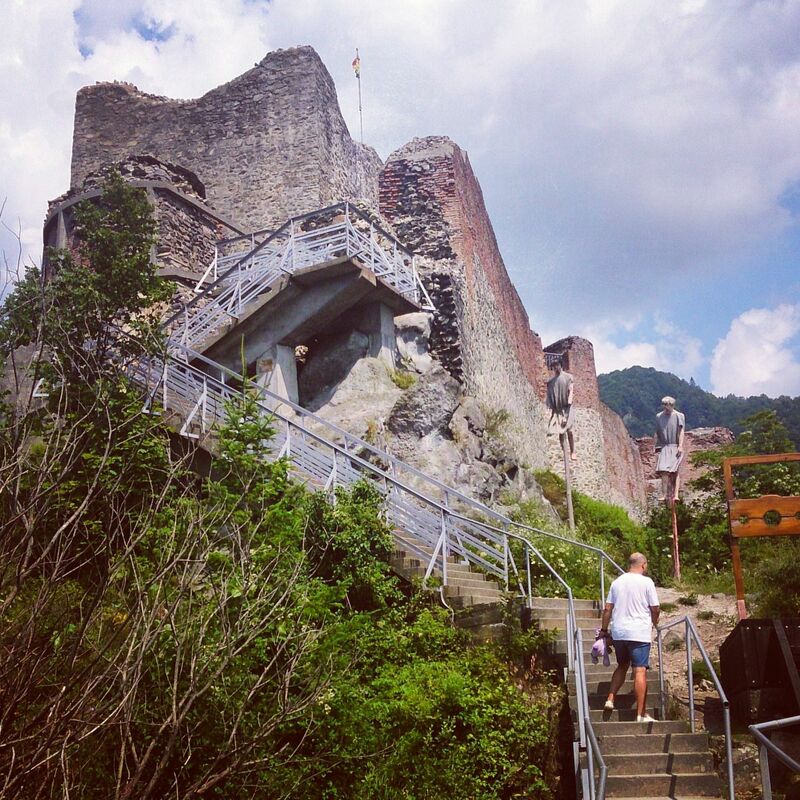 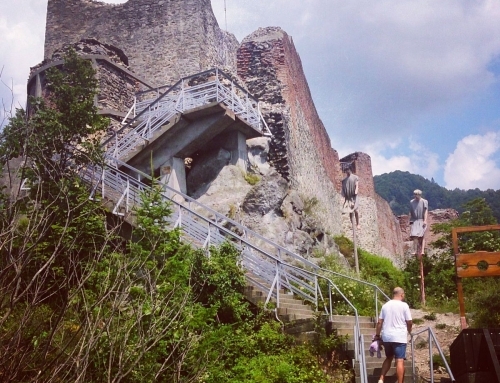 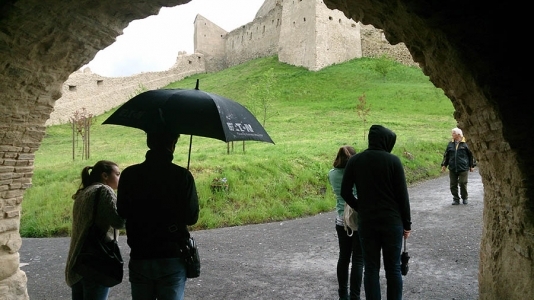 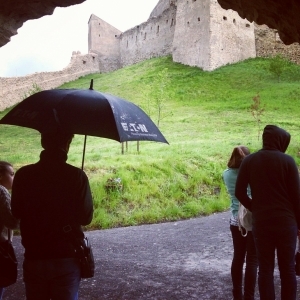 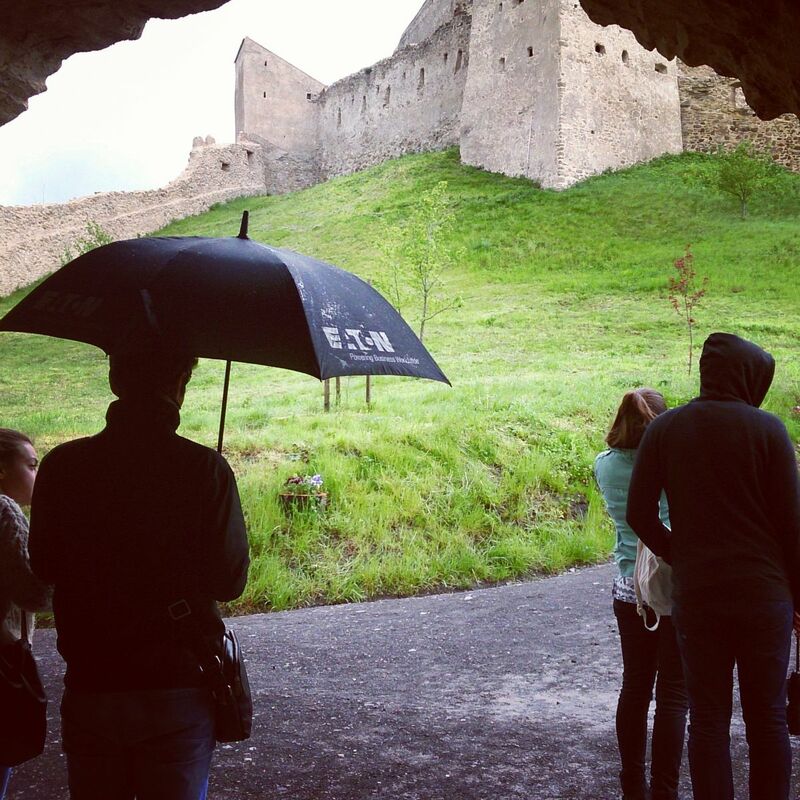 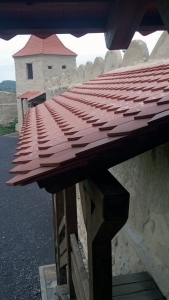 For many years starting with the communist period Rupea Fortress was left in ruin and the weather destroyed it slowly, but starting with 2002 the authorities from Ripea and Brasov started to renovate the beautiful fortress. The work was completed in 2013 and since then the fortress can be visited again.